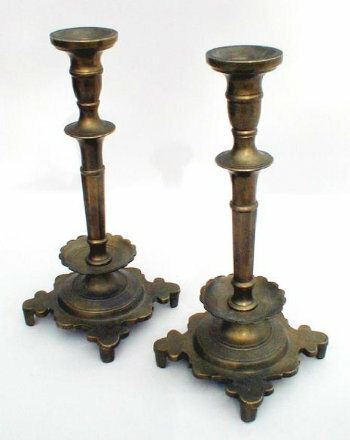 A rare pair of Czarist Russian Sabbath Candlesticks with Russian seals and marks. From a domed self footed base with tre-foil motif and banding, rises a faceted and tapered stem with ovoid knops, and large scalloped drip pans. Hand turned screw shafts for disassembly.